Gil Cohen, a curator and cultural manager with years of experience in the interface between cultural and social organisations, is hosting a public reading group that will look into the term “invitation”. What is the role of invitation in participatory cultural projects and what does it mean as a practice? Cohen will review and highlight examples of „invitational acts“ in participatory projects and together we will critically engage with the term. The meeting will be a group reading of texts and a conversation. The program is a week long artistic experimentation with the notion of the art of invitation or art as an invitation and participatory art. Who do you as an artist invite? how do you invite them? why do you invite them? where do you invite them? What do you want to share with them? ​The program will include a series of public and closed workshops, performances, interventions and conversations. All projects touch on subjects such as unofficial history, gentrification, personal urban narratives, cultural translation, stereotypes and placemaking. Contributors: Paz Ponce Perez-Bustamante, Li Lorian, Eran Eizenhamer, Camila Rhodi, Wanda Dubrau, Ilona Marti, Vera Buhß, Rula Daood, Miodrag Kuč, Jason Danino Holt, Gil Cohen. Part of the artists presented the first part of their projects in Lod in May 2017 in the context of Foothold Festival – B_Tours Tel-Aviv Jaffa Lod May 2017. 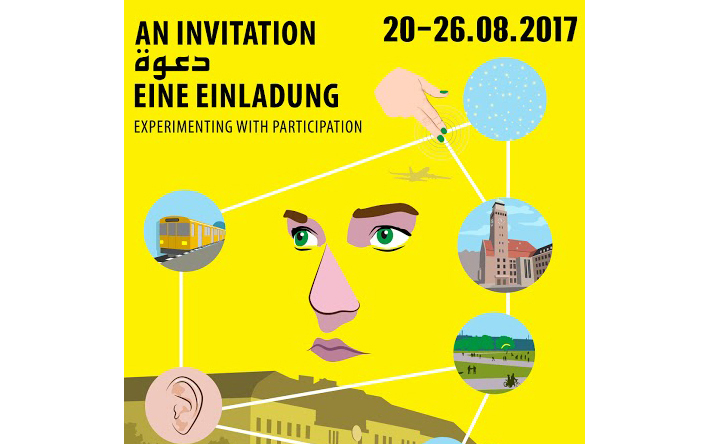 This program is the result of a tandem exchange program organized by Jindas (Lod), Hamekarer (Tel-Aviv), Agora (Berlin) and B_Tour (Berlin). The project „Participatory Strategies for Mixed Neighborhoods“ Lod and Neukölln is supported by a grant from the Stiftung Deutsch-Israelisches Zukunftsforum.